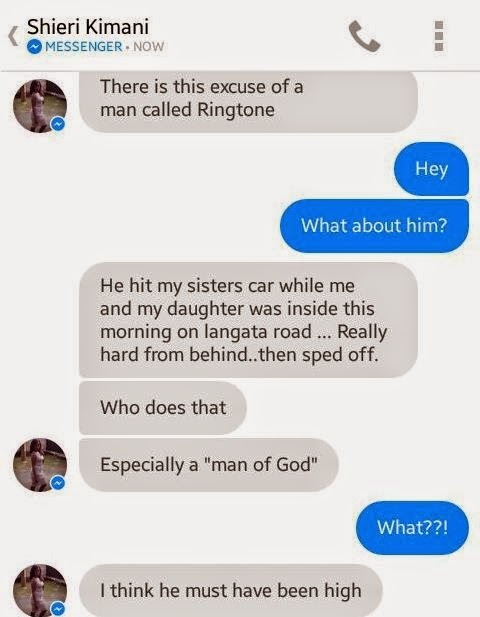 Just yesterday we shared a story that gospel singer Ringtone was having issues with his landlord after he refused to pay rent, now another lady has come out to accuse the singer of hitting her car from behind and speeding off. 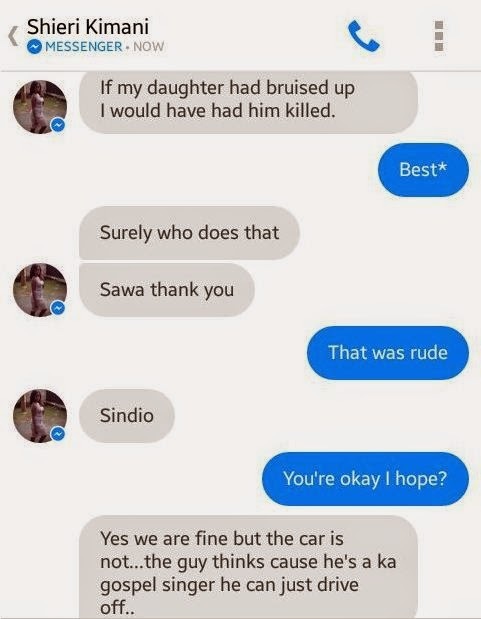 The incident which happened on Langata road seems to have gone unnoticed until the lady who was once a presenter on KTN shared it online. 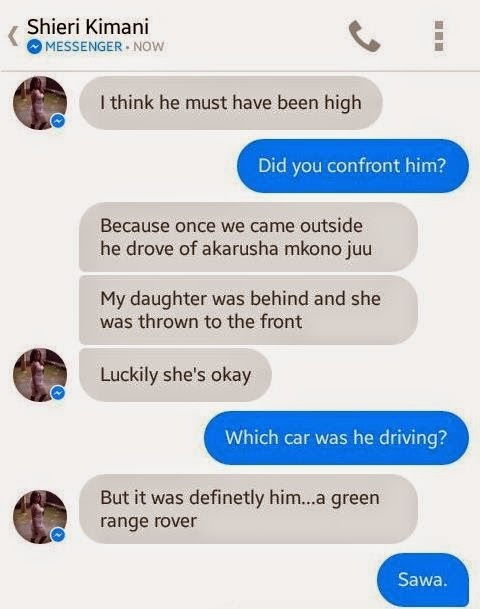 What made Shieri Kimani more angry is that Ringtone, after realizing he had done something wrong he angrily threw his hands in the air and sped off without even caring. Here is Sheira explaining to her friend.